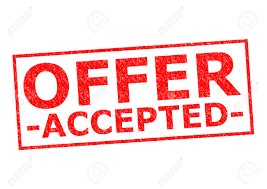 THIS PAGE IS FOR ACCEPTED OFFERS ONLY. THESE ARE ONLY AVAILABLE FOR PURCHASE IF YOUR NAME IS ON THE TITLE. THANK YOU.